With email marketing, you can do wonders. But, if you’re fairly new to this scene, it’s crucial to grasp the basics, like why is email marketing important, what are the benefits, and how to start. 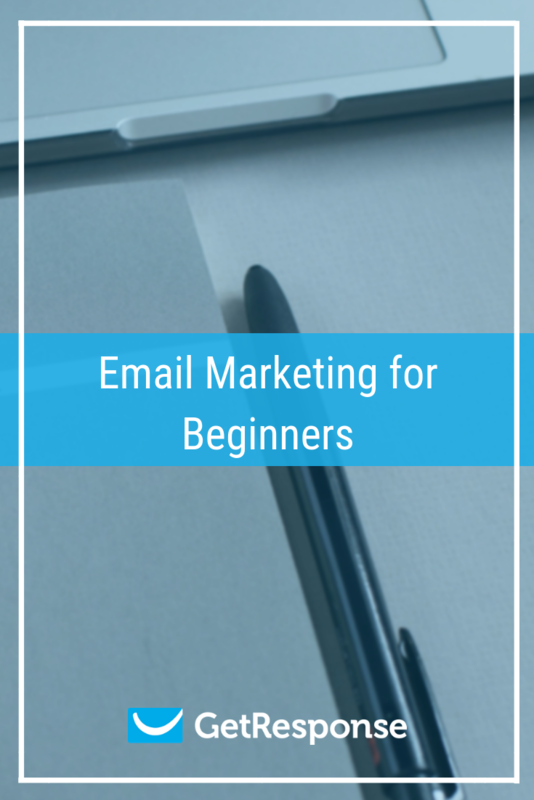 Take your first steps with the help of our email marketing for beginners guide! What are the key benefits of email marketing? What’s the average email marketing ROI? Why is email marketing important for my business? What are the key email marketing success factors? Editor’s note: this article has been updated in February 2019 to provide you with even more valuable information, tips, and examples. Email marketing is using email to build relationships with your audience. With a proper email marketing communication flow, you can send relevant information and convert prospects into customers. People who are interested in your product or service can join your email list and – through email marketing communication – learn everything they need to know to make an informed buying decision. Email has been in use long before the World Wide Web, which makes email marketing the first online marketing channel. Email marketing has been around for a long time, and it continues to lead the pack as it comes to ROI. There are a few benefits of email marketing that make it the perfect choice for your digital marketing activities. Professional cloud-based email marketing platforms offer plans based on the size of your email marketing list (number of subscribers.) Basic plans start as low as USD 15 a month and provide features like email marketing, autoresponders, marketing automation, and landing pages – everything you need to start growing your business. Email marketing services are perfectly scalable. You can use a basic plan to start building your contact list and upgrade to more advanced plans as your online revenue grows. You have full control over every aspect of the email marketing communication. You can track statistics and monitor the results of your campaigns. Based on the collected information you can make small changes (e.g. design, copy, structure, or workflow) and optimize your email marketing program. Creating email marketing campaigns is simple. You can design your email templates, landing pages, and marketing automation workflows with intuitive drag and drop editors. GetResponse Email Creator is just one example. According to the DMA most people prefer to be contacted by companies through email rather than other channels. The results of the survey make perfect sense since well-designed email marketing campaigns are relevant and non-intrusive – emails wait in the inbox and subscribers decide when’s the right moment to open and read an email. The percentage of email opens on mobile devices continues to grow. According to GetResponse Email Marketing Benchmarks, webmail opens make up 56.52% of all email opens, followed by mobile opens at 26%, and desktop opens at 16.99%. Which means that you can reach your customers and influence their buying decisions wherever they are. You can also integrate your online and offline marketing e.g. by collecting email addresses at events or during shopping at a brick-and-mortar location. Traditionally, digital marketing strategy is divided into paid, earned, and owned media. Email falls into the owned media category. It means that your business has full control over this online marketing channel. If you use a professional email marketing tool, your emails will reach everyone on your email list as opposed to e.g. social media, where you cannot control your organic reach. That’s why investing too much in social media following is often called building a house on rented land. You can collect relevant information from your contacts along the subscription process and use it to tailor the communication to their needs and preferences. Based on the data you can create segments of people sharing common traits. 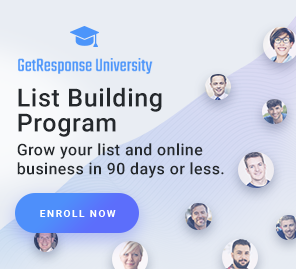 Your subscribers will stay on your list as long as they see value in your communication – that’s why over time you can build a huge email list that brings impressive revenue. Read the following blog on 9 super-easy ways to personalize your emails. You can control the performance of individual emails in your email marketing tool’s statistics panel and then track user behavior on your website. You can set goals for individual campaigns, track conversions, and measure the ROI. Email marketing keeps on bringing the highest return on investment of all online marketing channels. This results from all of the factors mentioned above. If you run and measure your email marketing activities the right way, they’ll become a proven source of revenue for your business. Here’s the data-backed answer to why email remains the best marketing channel. It helps if you follow the email marketing best practices. One of the biggest advantages of email marketing is that you can track performance and present data to prove the ROI. How to measure email marketing ROI? It’s easy to calculate the return on investment in your email marketing activities. All you need to do is track total revenue and divide it by the total spend. That’s a simple way to prove your success and get more budget for future campaigns. Watch out for these 10 email marketing myths killing your ROI. As a business owner you can communicate with your audience on their journey from a subscriber to a loyal customer. Read this blog, if you want to learn how to use email marketing for ecommerce. Use web forms and landing pages to reach your target audience and invite them to subscribe to your email list. Create a drip campaign to present your brand and your solutions. Become one of the brands shortlisted by your potential customers. If you use email marketing right, you will eventually become a top-of-mind brand in your industry. Explain why your product or solution is perfect for their needs. Your customers will research and compare your offer with the competition. Use an impressive email marketing campaign to convince them that they finally found what they’ve been looking for. At this stage, your customers know their needs and your product and have already compared it against the competition. Convince them that now is the right moment to buy. Your job as an email marketer doesn’t end at the moment of purchase. You need to stay in touch with your customers and see if your product or service matches their expectations. Remember that satisfied customers are likely to buy from you again and recommend your brand to others. To be successful in email marketing, you need three things: strategy, tactics, and tools. With these elements in place, you’ll be able to run email marketing campaigns that bring results. What is an email marketing strategy? Put simply, email marketing strategy is the big picture showing the long-term vision and future direction of your email marketing activities. Although many businesses operate without a strategy, it’s crucial to have one if you want to be successful. Why you need an email marketing strategy? How to create a basic email marketing strategy? Developing a basic email marketing strategy doesn’t have to be complicated. (In fact, it shouldn’t.) You don’t need to cover everything at once – you can include more areas and details as you go. Who are the people most likely to become your customers? Make sure that you know your target audience well. The more you know about their needs and preferences the more effective your email marketing campaigns will be. Do you know what your unique selling proposition (USP) is? Do you know your competitive advantage? I hope so. If not, you’re going to have a rough time trying to create email marketing campaigns that will persuade your target audience to buy from you. Your USP should answer the question “why us?” Analyze your product or service and identify the benefits for the customer. Keep it short and precise. Clearly explain your solutions and match them to your customers’ needs. Also, reach out to your current customers and ask them for your competitive advantage. Find out why they chose you from all the other options. Clearly defined competitive advantage and USPs will help you tremendously with planning your overall marketing communication and CTAs in individual emails. Define the resources you need to make your email program happen. Think of people (e.g. email marketing specialist, graphic designer, content specialist) and tools (email marketing platform, project management tool, etc.) that will help you plan and execute your strategy. Email list size: the number of email addresses on your list is one of the metrics you should pay attention to. Given that you build your email list organically with your target audience, you can be sure that it will translate into business results. In this case, the bigger the list – the bigger the results. Open rate: the percentage of the total number of subscribers who opened your email. Bear in mind that opens can be calculated only in HTML messages since they need tracking pixel. Click-through rate: the percentage of the total number of clicks on a given link in your email. It’s expressed by the total number of clicks on a given link divided by the number of emails sent. Click-to-open rate: comparison of the number of unique clicks and unique opens giving you a better idea of the engagement in your email marketing campaigns. A high click-to-open rate might indicate that subscribers find the content of your emails interesting. Conversion: a specific valuable action like visiting a landing page after clicking a CTA button; visiting a thank you page after buying a product, etc. Here’s more information if you’d like to know more about the key metrics, like the average open rate or click-through rate in your industry. Put your customers and your business in a broader perspective and map out the full customer journey. Analyze it and decide where you expect to get the quickest returns. List building is one of the main ongoing tasks of an email marketer. You need a bigger database of prospects for better business results. That’s why increasing the total number of contacts on your list will always be an important part of your job. To grow your email marketing list, you need to create web forms and landing pages and put them in front of your target audience. There are a lot of things to consider when designing for conversion. Segmentation is about using data to create email list segments – groups of people who share the same qualities. They allow you to send personalized and relevant content to your audience. Marketing automation workflows with features like tagging and scoring can help you collect meaningful information about your contacts and apply tags and scoring points automatically. Read the following blog on how to get started with email segmentation. Running events? Here’s email segmentation for event marketing campaigns. You want your subscribers to engage with your brand. You want them to open your emails, click the links, and follow the CTAs. But even the best design, copy, or communication flow won’t work without relevance. Relevance is the key to engagement. Stay close to your subscribers and customers. If you know your audience – their goals, challenges, needs, and preferences – you’ll be able to deliver the right message to the right people at the right time. The design of your web forms, emails, and landing pages has a significant impact on the overall email marketing performance. Approach the design process with a clear call to action in mind. Your subscribers view your campaigns on different devices with different screen sizes. Bear it in mind, and make sure that the design is friendly for everyone. Set up a clear result tracking program. Make sure you know what to measure and that you have the necessary tools and the right metrics. Conversion is the ultimate goal behind each and every email marketing campaign. And it’s specific to every business and campaign – it might be subscribing to an email list, clicking through to a landing page from an email, or making a purchase from an abandoned cart email. Describe what conversion is, so that everyone on your team can create and run email marketing campaigns with conversion in mind. Prepare a testing and optimization plan for your email marketing efforts. Make small changes to individual elements of your campaigns, like web forms, emails, landing pages, etc. and use the metrics and KPIs to see how they affect the performance against your organization’s goals. The right tools should also be a part of your strategy. Without them, you won’t be able to execute your plans. To learn more on email marketing success factors see GetResponse’s guide to email marketing in 2018 and watch the Email Marketing Excellence 2018: Top Tips and Insights webinar recording. An email marketing campaign is a coordinated set of email marketing messages delivered at intervals and designed to influence subscriber action to buy, subscribe, download, etc. When you’ve got your strategy, tactics, and tools in place, you can plan and execute your email marketing campaigns. Check out the 6 things a quality email marketing campaign can do for you. What are the top email marketing campaigns to start with? Each business has its own idea of running email marketing communication. But the core idea that helps everyone achieve the best possible results is relatively simple – focus on the needs and preferences of your target audience. The more you know your target audience, the easier it is to plan the contents and flow of truly engaging campaigns. But there are a few general types of email marketing sequences for you to consider for starters. The goal of the welcome campaign is self-explanatory. But it’s the way you welcome new subscribers that makes a difference. Sending a simple welcome email is a good idea, but sending a sequence of emails instead can help you build long-lasting relationships and result in bigger engagement. Here’s an example of a welcome email series from American Giant – an apparel company. An onboarding campaign is a great way to introduce your company, products, or services to your subscribers. A well-structured onboarding campaign should educate your subscribers so that they can use your product effectively and make an informed decision to purchase. Onboarding campaigns are popular among SaaS companies. Here’s a great example form Livechat – software that enables visitors on your site to chat live with your customer support. One step left to use LiveChat! Need some help with the code? I’ll be the Godfather of your success. Are you going to launch a new product soon? With a product announcement campaign you can introduce the idea behind it and build anticipation among the people on your list. As usual, I’d recommend going beyond a single email and creating a series showing different features and benefits. Here’s an example of a product announcement email from Casper – a sleep products company. And another example from Blue Bottle Coffee, a subscription coffee company, and Fellow, a coffee hardware company, announcing a product that’s a result of a partnership between the two companies. You can also run a pre-order campaign. Based on the results and subscriber engagement, you can research the market need for a product and predict its success. Here’s an example of a pre-order email from Ooni – an outdoor cookware company. The primary goal of a sales campaign is obviously to generate sales. That’s why the message is rather straightforward and focused on conversion. 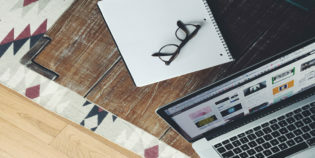 Here’s an example of a sales campaign from UncommonGoods – an online marketplace to connect makers and their creations with individuals looking for truly special goods. With time, some of your subscribers will become inactive. Don’t worry, it’s perfectly normal. Don’t be afraid to clean your list – remove inactive contacts regularly. You can automate the process by running re-engagement campaigns to the segment of subscribers that became disengaged (stopped opening and clicking the links in your emails). Here’s an example of a re-engagement email from Framebridge – a custom framing company. This article will be expanded with more insights very soon, so stay tuned for updates! Meanwhile, be sure to check out our ebook – a handy guide on How to Plan and Send Your First Email Marketing Campaign.